This year, three YPT superstars – Sam Burris, Nana Gongadze and Anna Vargas – graduated from high school. All three have been in our work since middle school, have had their plays produced and were long-term members of our Student Advisory Council. Most recently, Sam and Anna interned with us as part of their “Senior Experience” month at Washington-Lee High School. As Sam, Nana and Anna go off to college, each left us with beautiful parting words. We have reprinted them here to celebrate their accomplishments, their growth and all they have given to the YPT family! Enjoy! Imagine, if you will, being in eighth grade again. Your friend group is constantly oscillating, you are trying to decide where you are going to attend high school, and hair is growing in places where hair has never grown before. Then, in one of your most beloved classes, a stranger walks in one day. This stranger brings with them a tantalizing new idea: playwriting. With this idea comes the promise that at the end of the year, a select few lucky students will have their play professionally produced. This was the situation I found myself in when I was first introduced to Young Playwrights’ Theater (YPT), a DC nonprofit which works with students in the metro area to write full-length, completely original plays. I was one of those lucky few who had their play produced in YPT’s annual New Play Festival way back in 2012 (though I started working with them in 2011) and when it came time to decide on my “senior experience” internship a whole 5 years later, I couldn’t think of anywhere I would rather do it. I’ve been working with YPT consistently, though in different capacities, for the 5 years I have been affiliated with the organization. Of course, my work with them started when their In-School Playwriting Program came into my eighth grade drama class, but since then I’ve performed alongside their hallmark after-school Workshop program, been a member of their Student Advisory Council, and spoken at various events, all of which has culminated in this internship. Going into senior experience, I was not only excited to give back to an organization which had given me so much in the past, but I was also ready to learn about one of the few fields of theatre arts I was not already well versed in: arts administration. Luckily for me, that is exactly what myself and fellow senior and YPT alum Anna Vargas got throughout our internship. No one ever really considers the nitty gritty work that arts administration requires when seeing the work presented before an audience. In the past four weeks I have sorted twenty one years’ worth of records, amassed a number of quotes and drawings for use in later publications, and extensively researched DC public schools. If you ever have any questions about the demographics of Cardozo Education Campus during the 2016 Fiscal Year or the production history of Savoy Elementary School as far back as the 2011 Fiscal Year, I am your man. Sadly though, we were never sent to get coffee for the office’s senior staff members. For that, you would probably have to ask many of the other senior experience candidates. This internship has certainly taught me innumerable things about the field of arts administration and while I think that I will stick to creation and performance for the foreseeable future, I will always cherish the time I spent here. I have known since the eighth grade that I would miss YPT when I finally went off to college. However, working with them for the past four weeks has given me not only a deeper understanding of the inner-workings of their operation, it has given me insight into why I will miss it so dearly. The YPT staff strive to be much more than just administrators, teachers, and mentors; they sincerely want to be your friend. And, in my case, they are friends who I would rather not say goodbye to. Sam Burris will attend the New School for Drama this fall, with his eye on becoming a professional actor. We will miss him dearly, too, and wish him all the best in the Big Apple! YPT and I go waaay back. I’ve been involved with the program since I wrote my three character murder mystery play through the in school program and was selected as a finalist for the New Play Festival in 2012. However, I’ve known YPT staff since I met Laurie Ascoli the summer of 2011, where she was my camp counselor. Since that fateful summer and following fall, I have managed to maintain my ties with YPT as a member of the Student Advisory Council for four years, up until my graduation this year. Yet, that was not the end of my tale! Sam, my fellow New Play Festival playwright in middle school and Council member in high school, and I interned at YPT through a program at our school allowing us to use the last month of our senior years to help YPT in any way they saw fit. After a good five years, I feel like I’m a seasoned pro at YPT and know a thing or two about this organization, which I’d like to share below. 1 .) The staff and artists are everything you could ever want and more. From secret “files” being passed around the office on the day of a coworker’s birthday to the enthusiasm and creativity brought to every challenge and task they are faced with, the YPT staff dedicates themselves to showing you the best that you can be, encouraging you, cheering you on, and making you feel like part of the family. Not a single person made me feel anything less than complete every time I entered the office. These people (and the stairs up to their offices) absolutely take my breath away. 2 .) You will learn things about yourself you never knew. I didn’t know I could write or had the skills or imagination to do so until YPT provided me the platform to not only express, but explore all corners of myself and my mind. I remember after the first in school workshop, my friends all sat around at lunch speaking of exactly what they were going to write about, while I hardly had a clue. I was sure one of their plays would prove itself better than mine, as I was not the strongest writer nor had the wildest imagination that I knew of. Yet here I am, and I am still improving daily. 3 .) The communities YPT helps are truly changed for the better. One of my jobs whilst interning was to input self assessment surveys that students took before and after the in school workshop. It warmed my heart seeing the pre survey scores for questions like “My ideas are important” improve by one to three points from before the workshop to afterwards, and the suggestions section on the back filled with pleas from students for YPT to come back next year. I have seen students talk about YPT like the teaching artists have practically hung the moon for teaching them playwriting. I know for a fact that not only this skill, but ability to believe in yourself and what you can accomplish is going to help the next generation in creating a world we would all like to live in. So, in closing, whether you’re a seasoned YPT pro like myself, or someone who scrambled up a web address and didn’t mean to happen across this blog post but managed to read all the way to the bottom anyway, I sincerely hope you invest your time in YPT. Donate! Volunteer! Intern! Write! They deserve so much. I’m quite thankful for all the time and opportunities they have provided me over the years, including the most recent one to invade their bean bags everyday for a month. Thank you. It’s hard to say in a few words how much the last few years with all of you have meant to me. It has been a wonderful journey since I first stepped foot in your office four years ago – I have a clear memory of driving up for the very first NPF reception with butterflies in my stomach, because I didn’t know what I was in for or who I was going to meet. I am so thankful that what I did discover was a truly beautiful, big-hearted group of people who would inspire me so much throughout my high school days. Thank you so much both for the experiences you all have given me, and the work you do every day. People talk sometimes about those experiences you have in your adolescent years that shape you and change you, that really impact you as a person – my time on the SAC has been one of those for me. The words we have created and achieved as an ensemble there have been some of the things I’ve been most impressed and surprised by, and most proud of. Every year I have been consistently blown away by how great our final product was, even if there were doubts along the way. Thank you so much for helping me to learn how to better work with an ensemble and a team, because those are valuable skills that I’ll surely take forward with me. Being honestly able to grow up alongside you and the little group we have has been a constant treat over the last few years and a consistent source of inspiration for me. I also want to say that the work you do elsewhere in our community blows me away always. 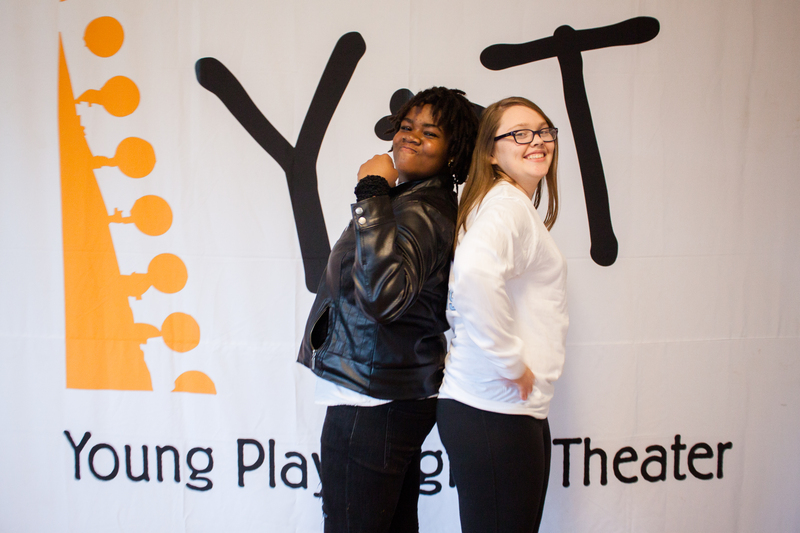 It seems like an unlikely thing to come together around, playwriting, and I think that’s one of the things that makes YPT so unique. I have always been proud to be a DC resident(ish) – all the work you do in the community honestly impresses me so much and makes me want to do good too. I know that I am just one of the lives you’ve touched – saying I’m not getting emotional writing this letter would be a lie, and it makes me so happy to think that so many other students get this feeling too thanks to you. You are all such a magnificent, kind, energetic, resourceful, fun and hardworking group of people. I hope you always can be reminded of how awesome you really are. Goodbyes are SO hard for me because I am really sentimental – but I am exaggerating in now way when I say I’m never going to forget you all! I know it is not goodbye forever and I look forward to staying in touch as I move toward the end of the weird world of teenagerdom. I have so much love in my heart for you guys and I think what you do is really truly magic. The warmest of thanks to you all for the last five years. Have a wonderful summer and always keep on keeping on. PS: Please enjoy a small token of my thanks! It is delicious. Nana Gongadze will attend American University in the fall. We are delighted to have her so close by, though we promise not to have her come speak at ALL our events…just some of them. 🙂 We love you, Nana! YPT’s 2016 New Play Festival featured fifteen hilarious, touching, charming and empowering plays written by young playwrights from across the DC area. From stories of time travel and magical homework to dance-offs and basketball showdowns, these fifteen plays shared the powerful voices of some of DC’s most exciting young artists! Before the performance of their play, each playwright spoke to the crowd about their work, their dreams and their advice for other young playwrights. Their speeches were so inspiring that we decided to share them all with you in their entirety! My name is Wesley Hoy, and my play is called Arrowstone in Woodland. I am in the 4th grade at Bancroft Elementary School. The hardest part of writing it was coming up with ideas. My advice to other young people who are interested in writing a play is that you should think before you write. I hope that in the future I will write another play. When I have a free afternoon my favorite thing to do is to play with my friends, and one thing that might surprise people is that I don’t like hot dogs. If I could change the world, I would want everyone to recycle. Now I hope that you enjoy my play, Arrowstone in Woodland. To Light Village We Go! My name is Martina Mendoza, and my play is called To Light Village We Go! I am in the 5th grade at Harriet Tubman Elementary School. I got the idea for this play from when me and my best friend, Harmony, both wanted the same thing in 2nd grade. When I have a free afternoon my favorite thing to do is watch movies with my sisters. My advice to other young people who are interested in writing a play is: be creative. I hope that audiences who see my play will enjoy it, and see that you don’t always have to start out as friends with the people around you, but you can become friends later. I hope that in the future I am successful as a teacher. And now, please enjoy my play, To Light Village We Go! My name is Aarionna Thomas and my play is called The Two Parents. I am in the 5th grade at Orr Elementary School, and when I have a free afternoon my favorite thing to do is write, sing, dance, and watch TV. I hope that audiences who see my play will love it and want me to write another one. My advice to other young people who are interested in writing a play is: keep working hard and write what’s on your mind. I hope that in the future I will be a great writer. So please sit back and enjoy my play, The Two Parents. My name is Branaya Reese Brown, and my play is called Mr. Rawr and the Kitty. I am in the 5th grade, and wrote this play when I was at Watkins Elementary School. I got the idea for this play from my imagination and a drawing I made. The hardest part of writing it was turning my drawing into a play. My advice to other young people who are interested in writing a play is: find something you like and write about it! I love animals, and one thing about me that might surprise people is that I can tell facts about over 100 animals. I hope that in the future I work at a zoo filled with animals, and if I were elected President, I would demand all animal-related books be sent to me. I hope that my play makes you laugh and smile, so please enjoy Mr. Rawr and the Kitty. My name is Talayia Richardson, and my play is called God and Gabriel. I am in the 5th grade at Wheatley Education Campus. I got the idea for this play from church, and a picture at another program. The hardest part of writing it was figuring out how to explain how God and Gabriel had a misunderstanding. My advice to other young people who are interested in writing a play is to have good grammar and feel like you are in the audience and ask yourself questions about the play. I hope that in the future I will be rich and make plays and perform them in public. If I were elected President, I would give everybody the chance to vote and would give everybody a million dollars. Now I hope that enjoy and like my play, God and Gabriel. My name is Maddie Salunga, and my play is called The Time Trap. I am in the 5th grade at Watkins Elementary School. I got the idea for this play from when my grandfather had skin cancer. I hope that audiences who see my play will enjoy watching it as much as I enjoyed writing it. One thing about me that might surprise people is that even though I am athletic and am tough, I like being female. I also really like science and the outdoors. I hope that in the future there will be more cures for more illnesses. I would like to thank Ms. Joan, who came to our class and helped us out. This play is dedicated to my family and friends, but specifically my grandfather. Thank you, and please enjoy my play, The Time Trap. My name is Jarid Shields and my play is called (Room). I am in the 12th grade at Eastern High School. My advice to other young people writing a play is: just write what you think is important or whatever you find interesting or funny. No idea is a bad idea. One thing about me that might surprise people is that I didn’t really consider myself a good writer; however, through this process, I have gained more confidence in my capabilities. I hope that audiences who see my play will gain a better understanding of the difficulties that people with illnesses and disorders, whether mental or physical, have to go through. I hope that in the future we can all be more sympathetic towards one another and be a little less quick to judge and stigmatize. Thank you, and please enjoy my play, (Room). My name is Rachael and my play is called School. I’m in the 10th grade at Anacostia High School. I got the idea for my play from my brain—I have an overactive imagination. The hardest part of writing was that I wrote a play and it was 38 pages long, so they had to cut it short. That broke my heart. I hope that the audience, who see my play will love it and give good and bad feedback to know what I should strengthen for next time. My advice to other young people who are interested in writing a play is to do it and always use imagination. Don’t let no one bring you down. One thing about me that might surprise people is I’m talkative and very playful. When I have a free afternoon, my favorite thing to do is read and write. I hope in the future that I’ll never stop reading, and if I were elected president, I would demand everyone to read. Writing is fundamental. My name is Ronald Coe and my play is called Ron vs. the Living Homework. The hardest part of writing it was making the homework come to life. My advice to other young people who are interested in writing a play is: never give up. Keep striving to reach your goal. When I have a free afternoon my favorite thing to do is to play video games and listen to music. I hope that in the future people learn that being mad is going to get you nowhere in life. So now I hope that you laugh and enjoy my play, Ron vs. the Living Homework. My name is Nomin Ganmend and my play is called Twins. I am in the 12th grade at Wakefield High School. I hope that audiences who see my play will understand that no matter what happens, you should support your partner. My advice to other young people who are interested in writing a play is to think about real life and show people what they should do to deal with their problems. When I have a free afternoon my favorite thing to do is crafting. I like to do and create new things. I hope that in the future I finish college and get the career I want. So now, please enjoy my play, Twins. My name is Nafisa Weeks and my play is called Living the Dream. I am in the 7th grade at Eliot-Hine Middle School. I got the idea for this play from my dream of becoming a CEO. My advice to other young people who are interested in writing a play is: use your imagination. One thing about me that might surprise people is that I like to do adventurous and extreme things such as cliff diving and sky diving. These are things I want to try. I hope that in the future I will be able to look back at all my achievements, and if I were elected President, I would make the world a better place. Now I hope that you will be amazed by my play, Living the Dream. My name is Alice Hockstader and my play is called A Mortal in an Immortal Land. I am in the 7th grade at The Lab School of Washington. I got the idea for this play from Greek Mythology and the Percy Jackson series. When I have a free afternoon my favorite thing to do is read books, and one thing that might surprise people is that I make stories from nothing all the time. My advice to other young people who are interested in writing a play is: do something you know a lot about. I hope that in the future I will be a professor of Greek Mythology, and if I were elected President I would make more National Parks and help conserve animals. Now I hope you enjoy my play, A Mortal in an Immortal Land. My name is Marisa Poe and my play is called The Basketball Duel. I am in the 6th grade at Maret School. I got the idea for this play from my love for basketball. I realized how unequal the salaries between men and women professional basketball players are, and wanted to spread the word. I hope that audiences who see my play will understand how unjust the salary differences are and try to make a difference. The hardest part of writing this was probably just starting it. Once I began, though, it became hard to stop. My advice to other young people who are interested in writing a play is to write about something you care about, and have fun with it! I hope that in the future these salary differences between men and women will change and women will get equal pay for equal work. Thank you, and please enjoy my play, The Basketball Duel. My name is Sierra Morris and my play is called Show Your Moves! I am in the 5th grade at Moten Elementary School. When I have a free afternoon my favorite thing to do is call my friends, go outside, and dance. My advice to other young people who are interested in writing a play is: don’t be afraid to show your talent in your plays, because it can probably kick off your future dream. I want someone to see my play and say, “That’s wonderful that a 12 year old black girl is taking her life seriously, and that she wants to do and be something that she wants to do.” If I were elected President, I would stop gun violence and stop the hate of other people, and stop having people live on the street. I hope that in the future me and my family and friends will have a better life and live our dreams. So now please enjoy my play, Show Your Moves! My name is Kreshaun Brooks and my play is called Bob’s Halloween. I am in the 5th grade at Moten Elementary School. One thing about me that might surprise people is that this is my first time writing a play or anything close to a play. I hope that audiences who see my play will laugh so hard that they jump out of their seats and fly through the roof! My advice to other young people who are interested in writing a play is to write whatever you think the audience will love, and they will love it even more than you thought. I hope that in the future everyone’s house is made of candy and robots make ice cream sundaes for everyone. So now I hope you laugh your pants off and enjoy my play, Bob’s Halloween. Congrats to all our 2016 New Play Festival playwrights! We’re so proud of you! Meet Nora Foster and Kaitlyn Murphy! Kaitlyn Murphy (L) and Nora Foster (R) pose for a photo shoot. Nora Foster and Kaitlyn Murphy are two strong, ambitious young women. The DC-area teens, who studied playwriting in YPT’s In-School Playwriting Program then saw their plays come to life in the New Play Festival, dream of making a difference in the world through their words and talents. Kaitlyn, a freshman at Cardozo Education Campus, is an avid spoken word poet; Nora, a junior at Yorktown High School, enjoys nature photography. Their plays, Ayo’s Audience and Stuck in a Fairy Tale, will be featured in Girls Write Out!, YPT first performance of 2015-2016! Monday, October 19, at 7pm at The Forum in Sidney Harman Hall. FREE! 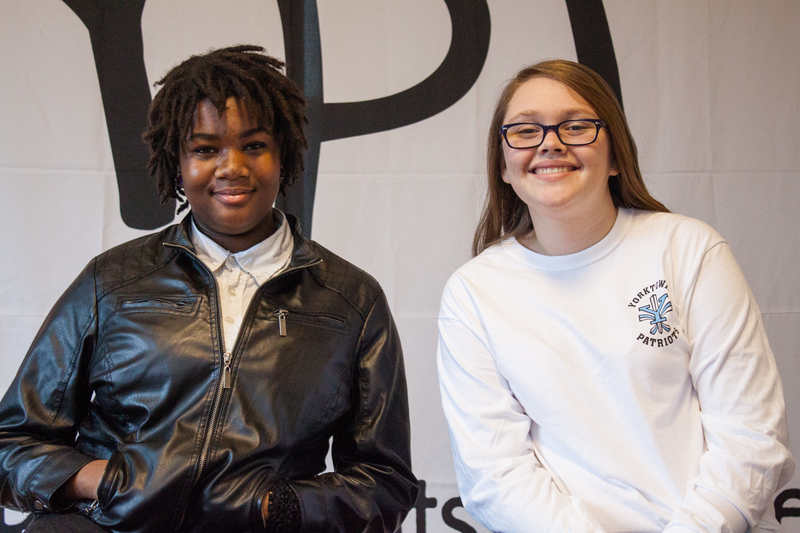 YPT sat down with Nora and Kaitlyn to learn more about their experience in the program, their hopes for Girls Write Out! and the value of sharing girls’ voices. 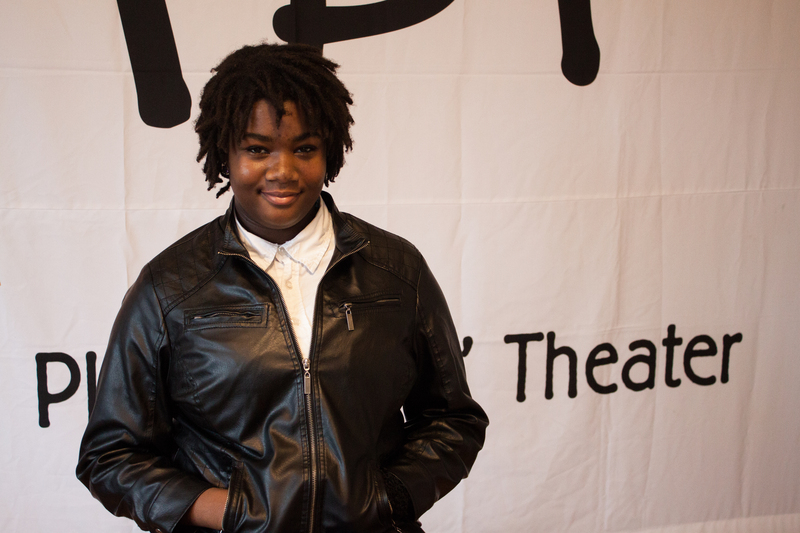 Read on for the interview and photographs of these fabulous young playwrights! 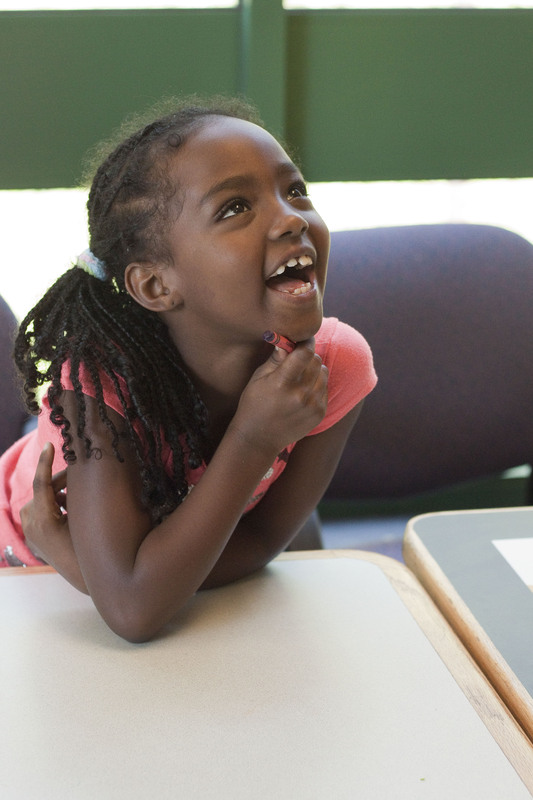 YPT: What did you think when the In-School Playwriting Program first came into your classroom? KM: I was really excited to see what I could write, and [see it] being acted out. YPT: How did you react when you found out your play was going to be performed? NF: I was really surprised, I was really happy…when YPT picked mine, I was just ecstatic. Having people not only compliment your work, but criticize it so you can grow and learn more from professionals [was really great]. YPT: Tell us about your play! KM: My play is called Ayo’s Audience. [It’s] about a girl trying to follow her dream to become a spoken word artist. It’s very much like my story, so it was pretty easy to write it. [Ayo] lives with her father, and…is struggling to make him understand that she has a passion for this art. In the end, her father and her overcome obstacles, and their relationship becomes stronger. NF: My play is Stuck in a Fairy Tale, and this girl basically gets thrown into different fairy tales. Like Snow White, Rapunzel…it’s a twist on these classics. YPT: Where did that come from in your mind? YPT: What is your play’s moral/what do you want audience members to walk away with? NF: I just hope that when people walk away from seeing my play, that they remember it…you have to do what’s right for you, and no matter what people say you have to know what’s good for you and follow through. Stand up for yourself. KM: I want more people to involve themselves in the arts more…that’d be a really cool thing, to see other girls involve themselves in things that [are] a release for them. YPT: What happens when a girl realizes the power of her voice? KM: I’m still trying to find the power of my voice! (Laughs) The power of your voice comes when you start affecting people by what you say, and you realize that your voice has a meaning, and that it can make an impact on certain situations or people. NF: Once you find your voice, it makes a really big impact on others. As long as you use it for good, and you tell people…whatever you’re passionate about, it can make a big impact. YPT: Do you have any advice for young playwrights in YPT’s program right now? KM: Don’t worry about nobody else. Have your stuff set, do what you need to do—no matter what, your play is amazing, because you wrote it. The process of writing a play is the best thing ever: you just wrote a play! That’s great! I bet you haven’t done that before! …Appreciate it for what it is. NF: Don’t doubt yourself…just write what you think is good, don’t compare yourself, because everyone is different in their own way, everyone is unique. Just believe in yourself and keep doing what you think is creative. Thank you to Nora and Kaitlyn for speaking with YPT! See their creativity on display at Girls Write Out!, Monday, October 19 at 7pm at the Forum in Sidney Harman Hall! FREE! Part of the Women’s Voices Theater Festival. Click here to reserve your tickets to Girls Write Out! Posted on October 14, 2015 October 14, 2015 Author yptdcCategories Arts Education, Interviews, Performance, Student Writing, TheaterTags creativity, dcps, inspiration, interview, performance, playwriting, theater, Women's Voices Theater Festival, Young Playwrights' Theater, young voices, YPTLeave a comment on Meet Nora Foster and Kaitlyn Murphy! YPT’s 2015 New Play Festival is just around the corner! April 20-22, 2015, at 7pm at GALA Hispanic Theatre, our dedicated team of professional actors, directors and dramaturges will bring to life fifteen vivid and compelling plays written by YPT students ages 8-17. This year’s Festival, the culmination of YPT’s 20th Anniversary season, will be our biggest and best yet! The fifteen plays we’re featuring this year come from a pool of over 1,000 submissions – more than we’ve ever received before. And boy, are they spectacular! From the riotous tale of a bacon strip’s vengeance to hard-hitting family dramas, these plays reflect the diverse voices of our intelligent, inquisitive and imaginative students. We received so many great submissions, in fact, that we couldn’t fit them all into one show! Seventeen other plays, which were named as Finalists for the Festival, will be published alongside the Featured Plays in our 2015 New Play Festival book, available for purchase on Amazon. The Trip to the New World tells the tale of a teenage girl stuck inside High School World, who dreams of traveling to the Real World. Even before the play was selected for the Festival, Aijah had already sketched out her vision for what the two worlds look like! Check it out, and see The Trip to the New World live onstage on Monday, April 20! Dear fellow student. You have just found this hidden capsule. So for your reward I’ll tell you a poem about the Young Playwrights Theater. After this poem, I know you’ll be a fan. After this poem I know you’ll understand. after this poem you’ll be inspired. The Young Playwrights are the best. They are better than all the rest. So cool just like school. and help you be the best you can be. YPT is so much fun. They have enthusiasm for everyone. because with YPT you’re going to win!!! See Losxy Docxy on Night Two of the Festival, Tuesday, April 21! During his In-School Playwriting Program, Chelsea School student Scott Lake wrote an epic fantasy play called The Hero Who Called Himself Faith. We were astounded by the richness of the world he created, and are happy to share the script in the book! Just before we sent the book off to print, Scott sent us more background on the play, along with two AMAZING drawings his friend Jordan Barron made of the hero James and the evil Demon King. Take a look! There once was a war between Man and Demon. Neither side could win, but the Demon King had a trick up his sleeve: his weapons were made out of a rare alloy forged out of misery. The Demon King used many slaves working in his mine to look for this rare alloy. He captured many villages and made them work in the mine. 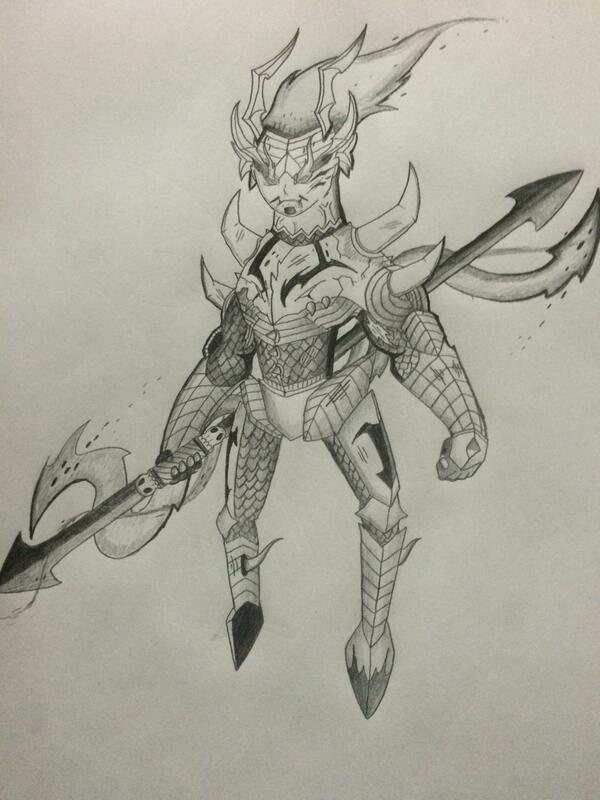 The Demon King killed many people and made some of them work till death. The miners would feel very miserable and scared when they worked and it made the weapons even stronger. But one man with pure heart stole some of this rare alloy and forged the Sword of Faith, the Helm of Wisdom and the Shield of Strength. These weapons made the Demon King retreat back to his domain. 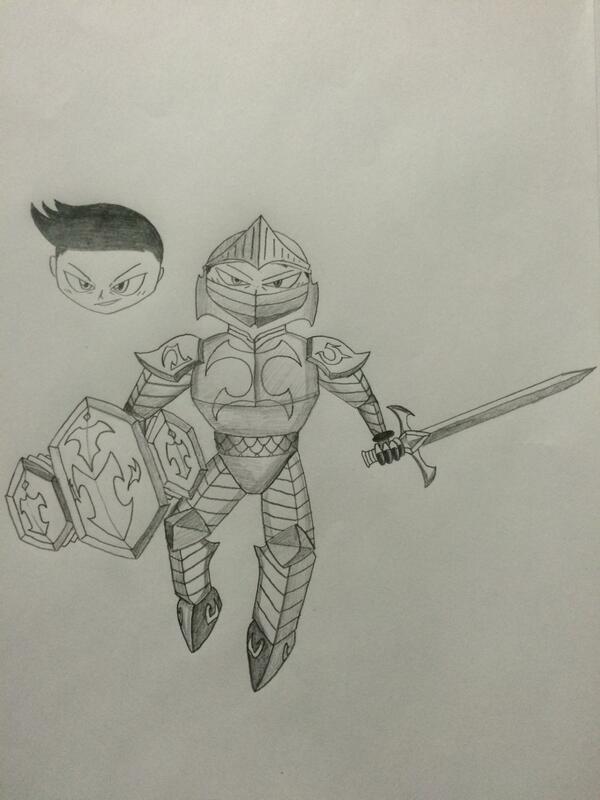 James, holding the Sword of Faith and the Shield of Strength and wearing the Helm of Wisdom. Teaching is hard every day. Even when my lesson plan is clear and my students are completely absorbed and engaged, teaching is really hard. I feel the same way about running. It doesn’t matter if it’s a humid July afternoon in DC or a cool spring morning, whether I’m jogging on the treadmill or stumbling up a mountain. Rain or shine, hot or cold, running is always hard for me. As a Resident Teaching Artist for YPT, my job is to teach, so I do it all the time. Running, though, is not my job, so I do it basically never. I know that I should, and I’m generally pretty happy after I do, but even as I think about running while writing this blog post I’m getting winded. It was announced at a staff meeting earlier this fall that YPT would again be participating in the Acumen Solutions Race for a Cause, an 8K race that raised $12,000 for YPT in 2012. I was thrilled to have some much needed motivation to get me back in the running game. About 41 seconds later though, I realized I would be in upstate New York for a wedding that weekend and wouldn’t be able to cross the finish line as my coworkers and friends cheered. I decided a week or so later that I would run the 8K anyway. At home in New York, with the company of my boyfriend, I would create an 8K course and run it while my coworkers were doing the same in Virginia. I immediately told Brigitte, our Executive Director, about my plan to run a “rogue race”. I’d have to start running. I told my boss I would. It was around this time that I began teaching our In-School Playwriting Program for the first time. When I started at YPT in June, I had a wide range of teaching experiences under my belt. I had lectured college classes on Performativity and the American Dream, I had taught three-year-olds to create ocean waves with their bodies, I had served as a literacy tutor for elementary school students, I had taught fiction classes to gifted teenagers and pretty much everything in between. But teaching playwriting in our classrooms across the Greater Washington region has proven to be the biggest challenge I have faced as an educator. As a YPT teaching artist, my job is to provide students, in eleven weekly workshops, the inspiration, techniques and tools necessary to write a play. With close to thirty students in most of my classes, there is very little time for individualized attention or hand holding. My lesson plans must be clear and concise as we move quickly from one concept to the next, forcing my students to think creatively and analytically simultaneously. The moment they understand a concept, we’re on to the next one. Once they understand the role of a protagonist, they have to create their own. When they’ve discovered their protagonist’s objective, they’re creating obstacles to get in his or her way. We are constantly moving the carrot, leading them on a creative and intellectual journey that will hopefully conclude with the creation of an original one-act play. Writing a play is no small feat for anyone. I’ve been stuck on page 47 of the play I’m writing right now for almost six months. Many of my students, however, have never seen a play, so as hard as it is for me to write a play, for them it’s harder. The days I was in the classroom this fall proved to be the most difficult days to muster the willpower to throw on my sneakers and head outside. My feet were tired from standing all day and I almost always had a headache. I started off running two miles at a time. I was pretty disappointed with how difficult those first two miles were. Slowly, though, I was able to run two miles without wanting to throw up (a small victory, I thought). I’d run two and a half miles, and then three, slowly but surely working my way up to five. It was always hard. I would push myself each day for 20, 30, 40, 50 minutes just to come home, shower and realize I’d have to do it all over again the next day. I kept thinking it would get easier, but it didn’t, I’d just have to run farther. Meanwhile, in the classroom, each workshop felt like a workout. Each lesson was a small goal either missed or achieved. One of my amazing partner teachers, the incomparable Ross Cohen, told me that as a teacher he feels like Sisyphus. Each day he pushes the boulder up a mountain for 90 minutes, only to start from the beginning and do it again with the next period. While running never really got any easier, I did get better at it. By the time October 12th came along, I ran the 8K in 49 minutes. My mother set an alarm on her phone to come outside and cheer for us as we finished. We got there too quickly, though, and we finished the race without much pomp and circumstance. The two of us were sweaty and tired, but proud that we had finished. 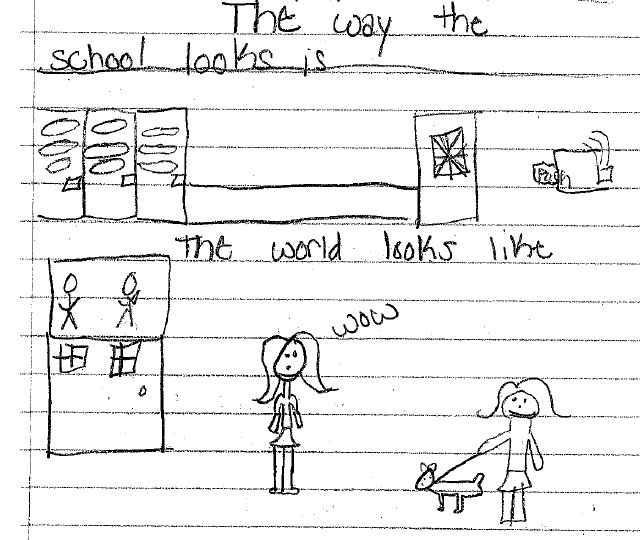 In the classroom I feel that way each day. There’s no one there when the bell rings to give me a high five and say, “Way to go! That lesson on conflict was stellar!” When the bell rings, my students are usually starving, waiting for lunch and running out of the classroom as quickly as their legs can take them down to the cafeteria for a slice of pizza. Hopefully, though, I pushed them just a little further than the week before. Hopefully, their creative muscles have been exercised and their endurance for this kind of thinking has increased. As their teacher, I’ve been strengthening these same muscles – pushing myself a little harder to make each class better than the one before. Kathryn Coughlin is a playwright, dramaturg and teaching artist serving as an Associate Producer for CulturalDC’s Source Festival. Kathryn’s plays include More Than Before, They Say There’s a War Going On, Sounds of Alarm and All We Have. Her work has been developed, produced and read by The Inkwell Theatre,Rorschach Theatre St. Bonaventure University, Kennedy Center’s Page to Stage,The Disreputables and Meat and Bone Theatre Company. As a dramaturg, Kathryn has worked with Source Festival, The DC Queer Theatre Festival, Taffety Punk Theatre Company and Arena Stage. Kathryn has worked as a teaching artist for Creative Kids, The Literacy Lab and John Hopkins Center for Talented Youth. She graduated Phi Beta Kappa from Trinity College in Hartford, CT.
YPT recently counted down 14 things (of many) that we make us jazzed about 2014, and we’re excited to share them with you. 1. More students, more schools. 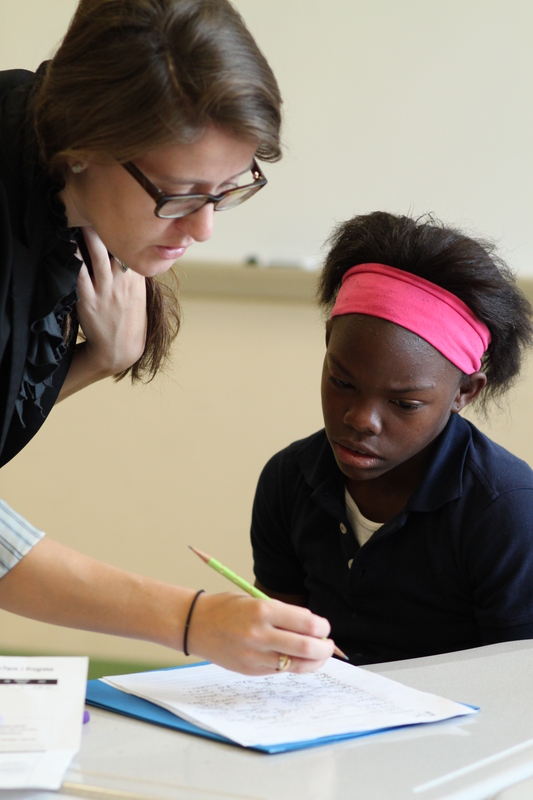 Last year, YPT reached 1,800 students, more than ever before in our history. And 2014 is on track to be our biggest year yet, serving 2,000 in new schools and organizations throughout the region. And we won’t stop until EVERY kid knows the power of his own voice. 2. Bragging rights as a featured Catalogue for Philanthropy charity. YPT is proud to be featured in the 2013-2014 Catalogue for Philanthropy. The Catalogue represents some of the best community-based charities in DC, Maryland and Virginia and we are thrilled to be included in 2014. Visit our CFP page for more information! 3. Continuing local partnerships. In the fall, YPT was excited to launch a new partnership with our neighbor Sitar Arts Center to integrate a playwriting program into their arts programming. We had a great time working with Sitar students this year, and thanks to generous support from the England Family Foundation we are excited to continue our program in the spring! 4. New ideas. Every year, YPT is blown away by our students’ creativity. 2013 brought us such memorable characters as Tim the Sloth and Dr. Pig, robot siblings and important lessons in “chill-ness”, friendship, loyalty and saving the world. We can’t wait to see what our students have in store for us in 2014. 5. Bringing the 524 Project into the classroom. After a semester spent planning and dreaming together, YPT and iO could not be more excited to launch the 524 Project in the classroom in 2014 and connect our students in Detroit and DC. Follow the action on our tumblr! 6. Launching our Teaching Artist Apprenticeship Program. This spring, YPT is partnering with University of Maryland, College Park and Baltimore County to create an exciting new apprenticeship program. College students will apprentice with seasoned YPT teaching artists gaining skills and experience to help them secure paid teaching artist work after graduation and training the next generation of teaching artists in YPT’s model. We’re excited to grow the YPT family! 7. Our partnership with Maya Angelou Academy. In 2013, YPT expanded our programming to serve incarcerated young men at Maya Angelou Academy through a new partnership with the See Forever Foundation and New Beginnings Youth Development Center. This experience was one of our most rewarding partnerships last year, and we are thrilled and honored to return to Maya Angelou this spring to help more students share their stories through playwriting. 8. Our Student Advisory Council. Our students rock. Last year, they launched an independent fundraising project (including their own video) to raise money to bring YPT to Amidon Bowen Elementary School, a school that has spent years on our waiting list. This year, our students are developing creative ways to raise awareness of YPT and exploring ways they can break down youth stereotypes in their communities. We are blown away every meeting by their insight, creativity and enthusiasm and we can’t wait to see what they accomplish in 2014. 9. The Young Playwrights’ Workshop. Speaking of amazing students, we cannot wait to see what our Workshop students dream up this year. Our students’ original play, Behind the Mask, took the Source Festival by storm last summer and our students are hard at work right now coming up with an idea for their new play, which will be back at Source in June 2014! 10. Our biggest staff yet. YPT welcomed several new staff members this year to support our incredible growth. In 2014, we’re excited to welcome Jeff Gilliland, our new Communications Associate to the YPT team, and to congratulate Laura Wood, our intern-turned-fellow who will become our full-time Community Engagement Assistant in January. 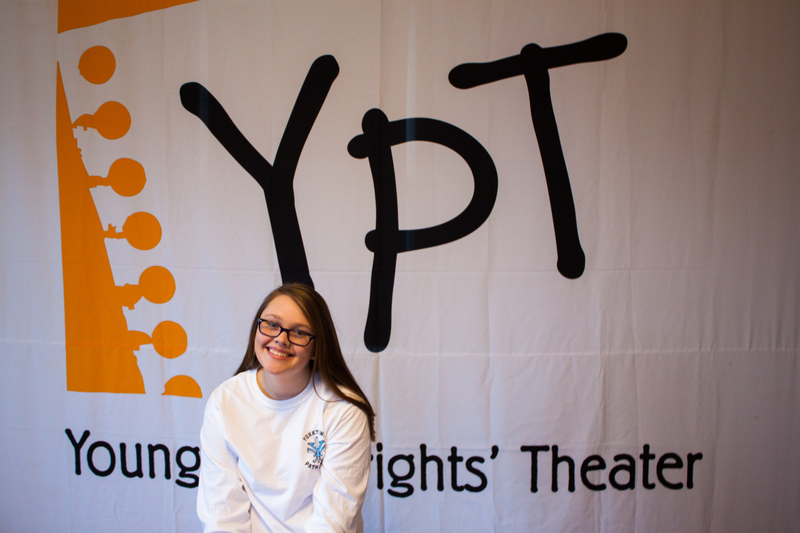 With seven full-time staff, three resident teaching artists and two interns, the YPT office will be busier than ever in 2014! 11. Eat for Good: The 2014 Giving Voice Award Gala. Our Giving Voice Award Gala is back and this year we’re eating for good! On March 14th, join us as we honor local artist, activist and entrepreneur Andy Shallal (founder of Busboys and Poets) and sample our way through DC with food and drinks from local restaurants, enter to win unique raffle prizes and dance the night away to live music. Buy your tickets now! 12. YPTexas! YPT is hitting the road again! In January, YPT staff will be traveling to Hidalgo County, Texas, working with YPT’s own former Resident Teaching Artist Catherine DiSanza to launch a pilot of our program for students in Garcia Elementary School, a school located just miles from the Mexican border. 10. New Writers Now! : Truth and Dare. Join YPT in February for an evening of fearless theater as high school playwrights challenge stereotypes and shatter boundaries in four high-stakes new student plays. YPT is bringing our February New Writers Now! to Theater J for the first time, and we can’t wait! 14. The 2014 New Play Festival: bigger than ever! Hands down, our favorite time of year is reading and selecting the plays to be featured in our spring New Play Festival. This year’s Festival promises three nights of hilarious, creative and heartfelt plays written by elementary, middle and high school students. We hope you’ll join us in April! We love when our donors are as creative as our students! Over the past year, some of our dedicated donors have given to YPT through their weddings. We are grateful for their generosity and their commitment to arts education, so we wanted to talk a bit more to them about their relationship with YPT as well as the big day! 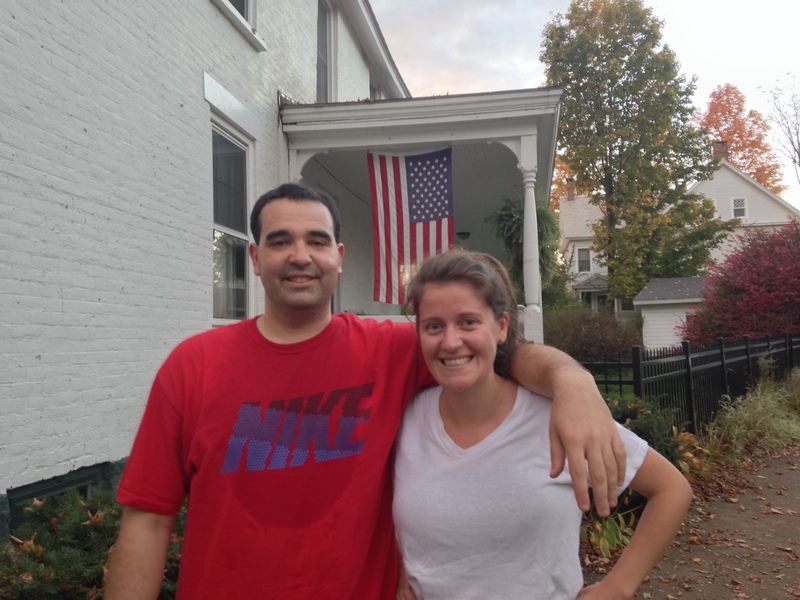 This month, we are talking to Eric and Jen Miller, who decided to ask for charitable donations as wedding gifts. • First, congratulations! Can you tell us a little about your wedding? Where was it held? What was one memorable moment from the day? Our wedding was scheduled to be held at the Turf Valley Resort in Ellicott City, MD on Sunday, July 1, 2012. We wanted it to be a fun weekend away for friends and family, so we picked a place where we could hang out at the pool, golf and really just enjoy having the families in town. Little did we know, we were in for quite a surprise that would make our wedding incredibly memorable! That Friday night, the Derecho rolled through the DC/MD area—so as the bridal party was celebrating at the hotel bar that night, the storm hit and knocked out all the power in the hotel and surrounding area. Suddenly, we were faced with guests staying in a hotel without air conditioning and the possibility of having a wedding without power! Luckily, the Turf Valley staff was wonderful and our friends and family are wonderful, so we were able to move the entire event to a sister property (the Hayfields Country Club in Cockeysville, MD) about 40 minutes away. It was stressful and we were scrambling to notify all of our guests and vendors, but we managed to pull it off and ended up having the most beautiful wedding ceremony (in air conditioning!!) and an amazing reception (the dance floor was packed the whole time!). • How did you two meet? We actually met at a mutual friend’s wedding in 2006. The groom was a high school friend of Eric’s and Jen’s best friend from high school was the groom’s college roommate. Jen’s best friend, Howard, had the plan to introduce the two of us at the wedding, thinking that we’d hit it off. We went on a first date in D.C. shortly afterward, and to this day we both still say it was the best and longest first date either of us had ever been on. But the story doesn’t end there—Eric was moving to Chicago and we weren’t up for a long distance relationship, so that was that. We always stayed in touch and when Eric moved back to the D.C. area a few years later, we got together again to catch up. It was a lot of fun and reminded both of us of the spark that was there, but again, it was bad timing. In the end, third time’s a charm! When Eric sent Jen a message for her birthday in 2010, this time we were both single and in the right place to see where things would lead. As soon as we had that third first date, we both knew that our connection was real. And to bring the story full circle, our dear friend Howard, who set us up in the first place, got ordained this past summer and married us! • You had such a creative giving idea — can you tell us how you decided to designate YPT to receive a donation in lieu of favors at your wedding? We wanted everything about our wedding to be a reflection of us and what matters to us. Our wedding really and truly was a celebration of who we are as individuals and who we are as a couple. We’re both incredibly passionate people and we both know how important it is to love what you do. For me, it has been this love of teaching kids how to write well and find their voice. For Eric, he has always cared deeply about giving back to the community in some way. We’ve both been to so many weddings and over the years, I had seen a couple people choose to make a donation instead of giving out trinkets to their guests, so I immediately knew that was something we wanted to do as well. In looking for the right place, Eric suggested YPT. He had done some work with your organization and he knew that it also tapped into my passion as an English teacher who loves writing. • What do you hope comes out this donation? 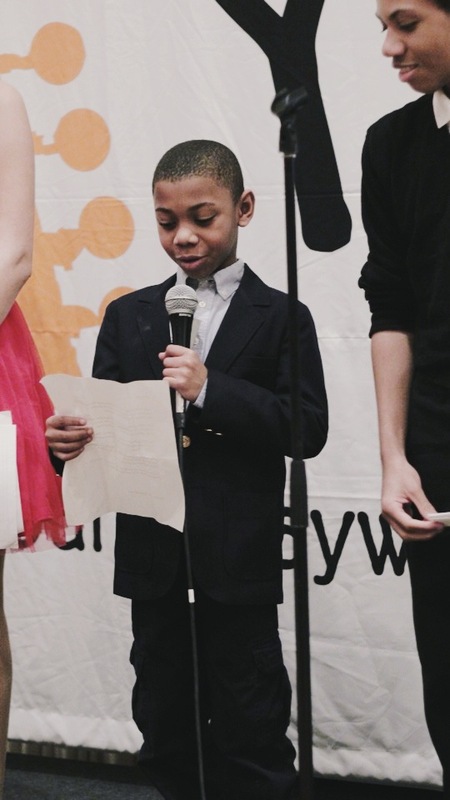 We hope that the donation helps support the work of giving young kids a voice and the creative outlet of writing—that kind of experience, especially kids seeing their words come to life on the stage, is life-changing and can give kids so much confidence in themselves. Writing is such an important life skill for any kind of future success. We love your core belief that every kid has a story worth telling and that’s something we hope our donation helps foster. • How did you learn about YPT? During the Summer of 2011, I (Eric) had a fellowship with Global Fund for Children. I was charged with engaging our grantees around the world in a conversation about what sustainability means to them as community-based organizations. I interviewed grantees from Africa to China to South America, but one of the best experiences was my interview with David Snider (former director of YPT), right here in DC. That is how I discovered this wonderful organization. • What was your first impression of YPT? YPT is an organization of passionate people who want to make a true difference in the lives of young people. I attended one of the performances where the playwrights wrote stories about slavery, and they were performed by actors on stage. I was extremely impressed with the quality of the plays and talent of the playwrights. I have no doubt that it is a life-changing experience for the young playwrights to see their work performed on stage. • How would you describe YPT to someone who hasn’t heard of us? 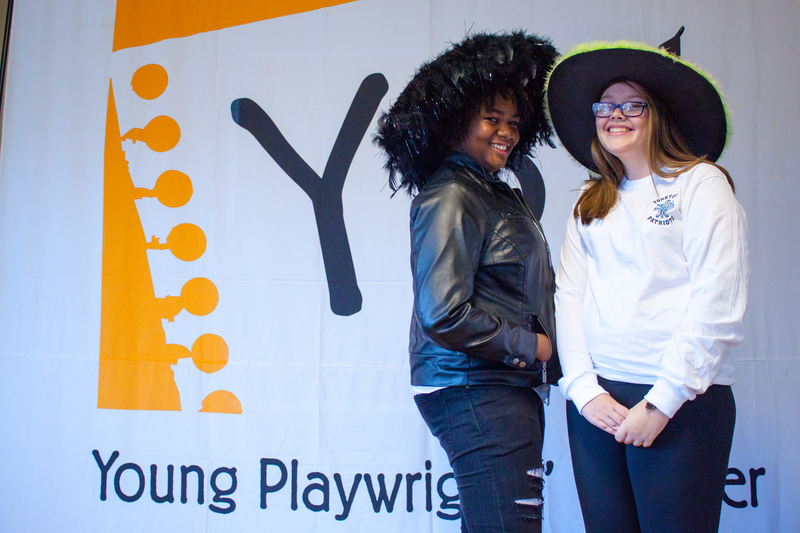 Young Playwrights Theater transforms the lives of young people by providing them with a creative outlet to find their voice and artistic talent. • What kinds of causes are you most passionate about? We both love children, so organizations or causes that serve to support children and give them creative outlets really speak to us. We also both value our own education and feel that education is so important—we both come from a family of teachers, so causes that speak to that desire to teach or help others, those are organizations we’d want to be a part of. • If you had a personal mission statement, what would it be? We both want our time to be spent with people we love, doing things we love, supporting causes we love. We want our jobs to reflect a commitment to making society better for the future generations and we want our children to grow up understanding the importance of helping others. • And we’ll end with something fun … what is your favorite summer activity? Typically we’d probably say something about hanging out with friends and family at the pool or the beach, but this summer, I think we both enjoyed getting our house ready for Baby Miller, who we’ll be welcoming to our family this winter!